Struggling with WiFi deadspots? Then this is a competition you won't want to miss. In partnership with Asus, we're giving you the chance to win one of five RP-AC52 Wireless-AC750 Range Extenders worth £60 apiece! Winner of a HEXUS Recommended award, the RP-AC52 touts concurrent dual-band wireless coverage in a compact and user-friendly form factor, and with audio streaming and an integrated night light, it's useful in more ways than one. Five of these little beauties are just waiting to be won, so don't miss out, answer the following question to enter our free prize draw. And don't forget, you can also claim a free second entry via Facebook to increase your chances! The competition winner will be picked at random from all eligible entries that arrive by midnight of the closing date, July 26, 2015. The winners will be notified via email by July 30, 2015. The winner must claim their prize within 7 days of the promoter sending notification. If the prize is unclaimed after this time, HEXUS reserves the right to offer the unclaimed prize to a substitute winner selected in accordance with these rules. 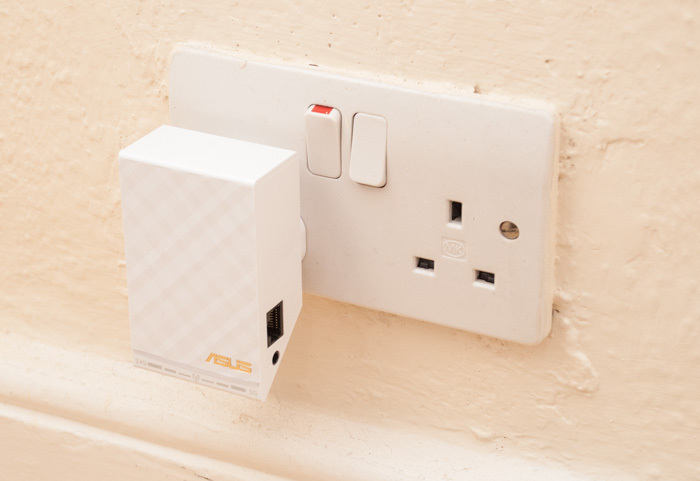 The prize is one of five Asus RP-AC52 Wireless-AC750 Range Extenders. Something I actually need rather than just want after someone severed my in-wall CAT6 down to the cellar! Almost caught me out automatically opting me in to receive marketing emails. They should default to off. Cool,now i can save 30 euros at the office.I will cancel the internet subscribtion right away. Nice little gizmos. Would be a step up from my first gen 150 ‘n’ plug in extender/adapter/router/bridge from another company.